Thank you St. Colman’s NS Parents Association!! 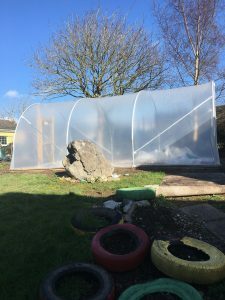 We are delighted but before we get our green fingers working we need a bit of help – Any parents/grandparents/friends of the school that would like to make wooden beds inside the tunnel for us! Please contact the school office if you know of anyone that would be willing to help us out!